What Does Lime do for Your Lawn? A well-kept lawn is an important investment for many homeowners. Your lawn is the first impression people have of your home, so why not make it a positive one? One popular secret to lush, green, healthy grass is lime. 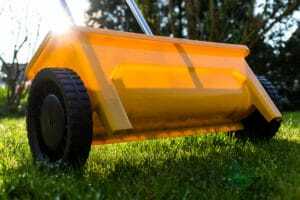 Read on to learn about whether your lawn could benefit from lime treatments and how lime can help your grass look its best. If you have a healthy, vibrantly green lawn, chances are it doesn’t require lime. Made of limestone or chalk, lime’s main component is calcium carbonate. If your soil is below the ideal pH zone and has turned sour, the calcium carbonate in lime can help neutralize your soil’s acidity. Testing your soil is the first step before heading to the store for lime. DIY-savvy gardeners can pick up a testing kit at their local nursery or garden-supply store. You can also call the professionals at Green Lawn Fertilizing for assistance in testing your soil’s pH levels. Be sure to consult your soil test results in order to determine your lawn’s liming requirement. Because lime benefits soil (not grass), it is best to apply a treatment before grass is planted. 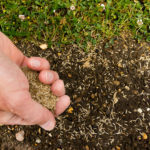 For new lawns, test your soil and add any necessary lime before you put down seed. Spring and fall are the appropriate times to apply lime on already-established lawns as long as the soil is not frozen or covered in frost. Your soil test will indicate the recommended pounds of lime to apply per thousand square feet. Just match the amount recommended by the soil test to the amount of pure calcium carbonate on the bag’s label and use a lawn spreader for the application. Pelletized lime is on the pricier side, but it comes in the form of dust-free pellets that dissolve in rain or when watered. Pulverized lime is less expensive, but its powdery texture can make a mess on your lawn. Our friendly professionals are here to help you with any questions you have about testing your soil or adding lime to your lawn. Contact us at 888-581-5296 and we’ll help you with anything from soil testing to application to give you the healthy green lawn you want.